Mark's Tickets is the best place to find tickets for Minnesota Wild fans. Just check this page for any new events or schedule updates throughout the year. We sell tickets to every Minnesota Wild game around the world. We know how passionate Minnesota Wild fans can be about hockey, so we make sure to have hundreds of tickets for every game available right up until it starts. For those looking for cheap Minnesota Wild tickets, we offer tickets starting at very low prices (many times below face value). 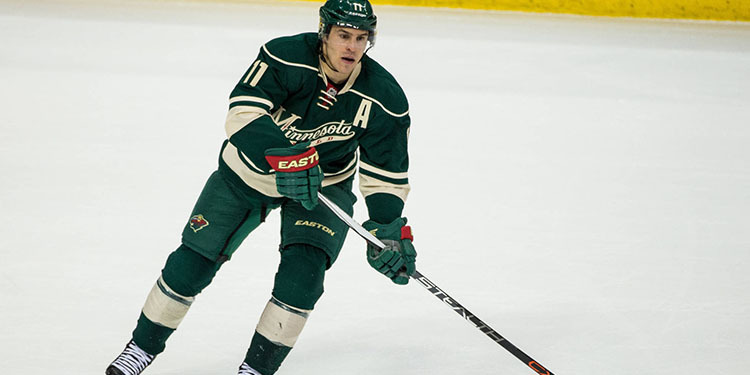 We offer tickets in most sections of every venue that you can see Minnesota Wild. Simply choose the city or venue that you are interested in below, and you will be able to see all of the available seats. Do not forget that Marks Tickets also specializes in sold out Minnesota Wild tickets. No longer will sold out shows prevent you from seeing Minnesota Wild. The Minnesota Wild are a professional hockey team that plays in the NHL. The Wild play their home games at Xcel Energy Center in Saint Paul, Minnesota. With 82 games per year, and 41 being home games, The Minnesota Wild are an ice hockey team based in St. Paul, Minnesota, United States. They are members of the Central Division of the Western Conference of the National Hockey League (NHL). Though the team plays in the Minneapolis-St. Paul area with the Minnesota Twins, Vikings, Lynx and Timberwolves, the Wild and the Swarm (also owned by the Wild ownership) are the only Major League sports franchises to play in St. Paul, as the aforementioned teams all play in Minneapolis. The team was founded on June 25, 1997, but started playing in the 2000-01 NHL season. The Wild is also the first NHL franchise in Minnesota since the Minnesota North Stars moved to Dallas in 1993. They lost their first game, 3–1, to the Mighty Ducks of Anaheim and recorded their first win against the Tampa Bay Lightning five games later. The Wild play at the Xcel Energy Center. In the 2002–03 NHL season, the team made its first playoff appearance, and made a surprising run to the Western Conference Finals.